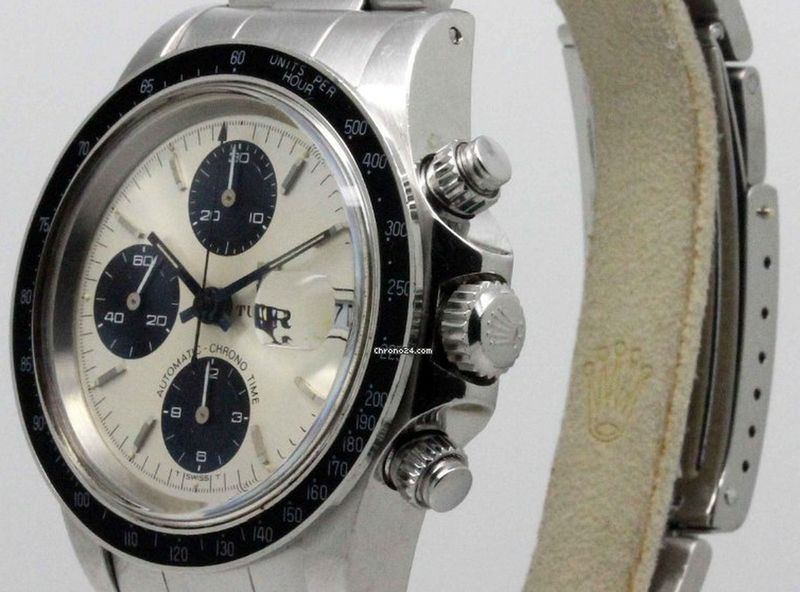 Do you love the look of the vintage Rolex Daytona's? Do you not have $30k+ in highly disposable income? Well have I got news for you. During the same time Rolex was making the now highly priced four-digit Daytona references, they were also making a nearly identical watch under their sister brand, Tudor. I'll just come out and say this: I'm not a fan of of the Daytonas that came out after the mid 80's. I find them to be much harder to read, and don't like the 'Olympic ring' subdials. The polished metal bezel cluttered with numbers baffles me, with Rolex totally dropping the idea of colored bezels until recently. So with that rant out of my system, lets get back to Tudor. Right now, you can buy Tudor chronographs with the near identical look of a Daytona, and details like a Rolex bracelet, Rolex crown and Rolex signed back. Oh yeah, and they cost less than 1/10 of what a Rolex Daytona does today. nbTimes is a seller in Hong Kong who is well respected on the Rolex Forums and Chrono24. He often has some of the finest examples of vintage watches, and I dare say that this is one of them. 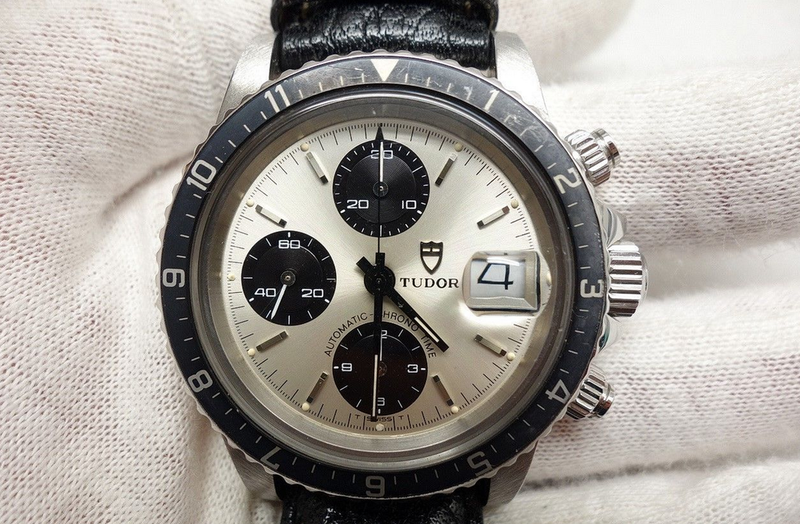 Tudor 79170 is a newer model, produced in the 90's and early 00's. Man Vs Time is a small watch store in Cannes, France, who also sells on Chrono24, where I came across this collector grade Tudor chronograph example. Appears to have an nearly unpolished case in execellent condition. From 1978 which is the classic time-period for these, although they were made in a similar style through the mid 2000s. Silver dial in excellent condition. Original hands in great shape. Bezel has a smooth outside, this is a rare early variation of the models to follow. Has the desireable Tachymeter black bezel. All lume plots are even and still in place on the dial with nice patina. Comes on Rolex signed bracelet which appears to be in great shape. Priced on the high side, but it is a near perfect collectors example from the 70's, when they were being made alongside the legendary Daytonas.